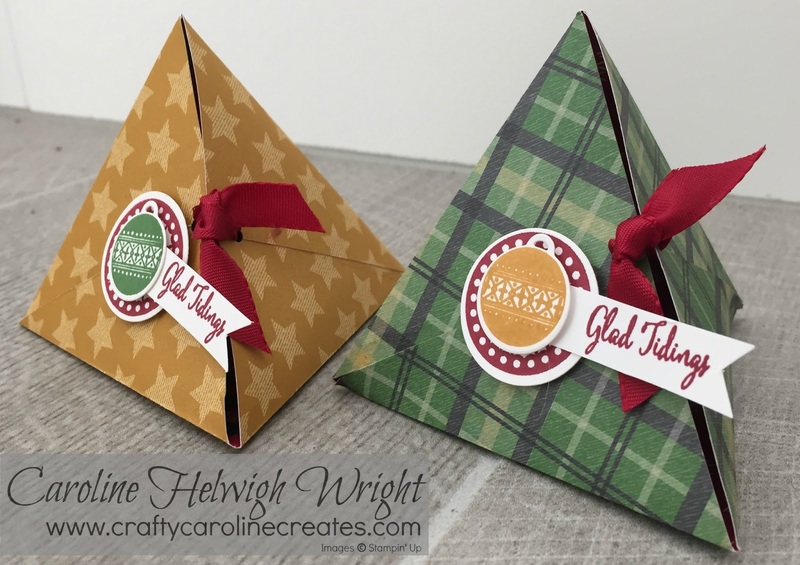 CraftyCarolineCreates: Pyramid Gift Box using Warmth and Cheer DSP Stack by Stampin' Up Video Tutorial. 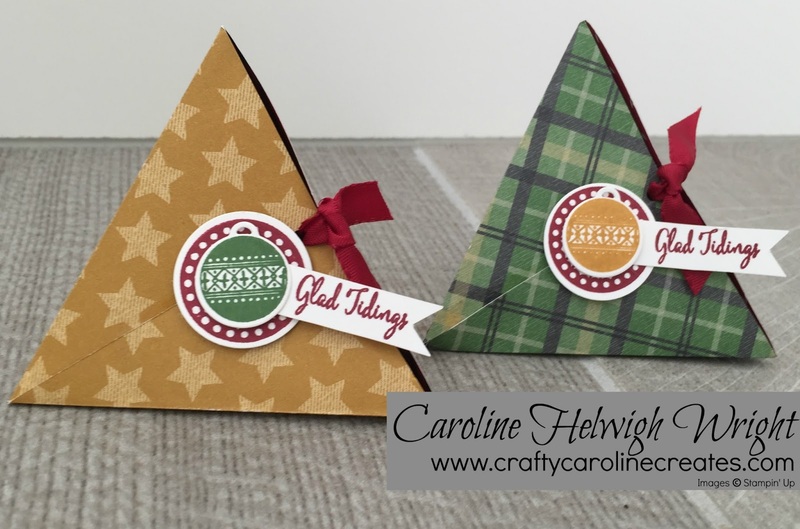 Pyramid Gift Box using Warmth and Cheer DSP Stack by Stampin' Up Video Tutorial. These little pyramid boxes are so easy to make from a small 6 inch by 4 inch peice of designer series paper. They are a really great size and would hold a lot of sweet treats, they are even big enough for a gift card. I've made mine to stand up but you would extend the ribbon and make a loop and they would hang perfectly from your Christmas tree. I've used my current favourite Warmth and Cheer DSP stack - can't stop using it! The lovely decorations all come from the Warmest Wishes Stamp Set and matching framelits - expect to see more of this set very soon. A little bit of the silky taffeta ribbon finishes them off beautifully I think. Of course there is a YouTube video if you would like to give making your own version a go. Click HERE to watch, I hope you enjoy. This box is super cute! I just made it with Blooms & Bliss DSP and Sweet Sugarplum ribbon. It will be perfect for Easter treats!